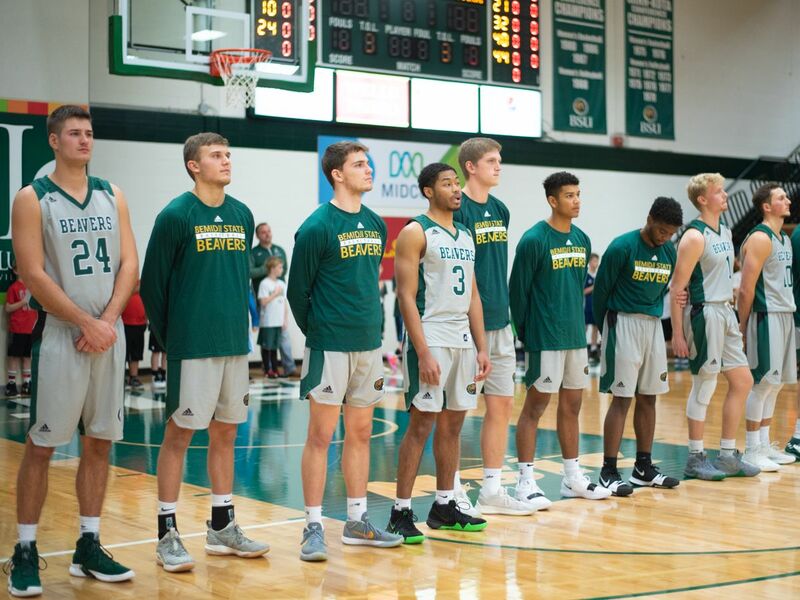 The Bemidji State University men’s basketball program hosts Northern Sun Intercollegiate Conference South opponents Upper Iowa University and Winona State University Jan. 18-19 at BSU Gymnasium. The Beavers open the weekend Friday at 7:30 p.m. versus the Peacocks followed by the weekend finale Saturday at 5:30 p.m. against the Warriors. Bemidji State leads the all-time series against Upper Iowa, 12-8. UIU is on a two-game winning streak over BSU, including an 84-75 victory during last season’s lone meeting Dec. 30, 2017, for the first time since 2009-10. After trailing by 19 points with under 10 minutes in the game, the Beavers fought back to trail just five points with 1:25 to play. BSU scored 19 of last 28 points in the game. Junior forward Logan Bader totaled 18 points on 7-for-11 shooting from the field and 4-for-5 from long range while adding three rebounds, two assists, and one block. Sophomore forward Derek Thompson scored 10 points with a team-high seven rebounds. The series began Dec. 16, 1949, a 97-69 win by Bemidji State. The two programs took a 55-year hiatus in the series before restarting in 2004. Winona State leads the all-time series against Bemidji State, 86-72. BSU won last season’s lone matchup against WSU Dec. 31, 2017, 62-59, in Bemidji, Minn. The Beavers shot nearly 50 percent from the field and sank 11 3-pointers for the edge over the Warriors last season. BSU’s defense also held WSU to 33.9 percent from the field and 26.9 percent from beyond the arc to secure its first win over the Warriors since March 2, 2013. Thompson scored 10 points on 4-for-7 shooting while adding five rebounds, one assist, one steal, and one block. Bader led the team with eight rebounds and scored seven points. The series began Jan. 7, 1933, a 43-34 overtime win by Bemidji State.